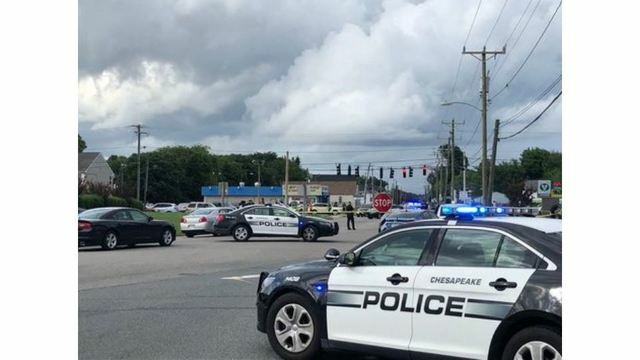 CHESAPEAKE, Va. (WAVY) -- A 19-year-old woman whose hands were cuffed behind her back when she committed suicide during a traffic stop in Chesapeake died of a gunshot wound through the mouth, according to the Office of the Chief Medical Examiner. She was the passenger of a 1996 Lexus driven by her boyfriend, 27-year-old Holden Medlin. The couple was under the surveillance of two CPD officers -- one assigned to uniform patrol, and the other to vice narcotics -- when they were stopped around 4:24 p.m.
During the stop, the officers approached Wilson and Medlin separately. While one officer handcuffed Wilson with her hands behind her back, the other tried to detain Medlin, CPD Officer Leo Kosinski told 10 On Your Side in August. Medlin resisted arrest, becoming combative and trying to flee the scene. That's when the officer who handcuffed Wilson left her outside of the car's passenger side and went to assist in Medlin's arrest, which involved using a Taser to subdue him, according to police. Kosinski said in August that Wilson was handcuffed with her arms behind her back when she got the gun out of the Lexus, "contorted" her body and shot herself in the head. On Thursday, the OCME of Tidewater confirmed to 10 On Your Side that Wilson did commit suicide, and that she died from an "intra-oral gunshot wound." Medlin was arrested in connection to the traffic stop after he swallowed a "golf-ball" sized-bag with an unknown substance in it. Police searched the car and found 11 oxycodone, a syringe, drug paraphernalia, a rifle, and several boxes of ammunition, according to court documents.